'Persons Reported' finally back on track! 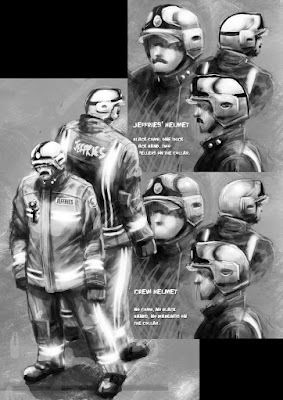 After a lengthy re-write of the script, I have finally got stuck in on the artwork for my next comic, Persons Reported. Here's a sample of the design work I am going through, developing the look of the final comic as I am laboriously ploughing my way through the page layouts and thumbnailing stage of the process.